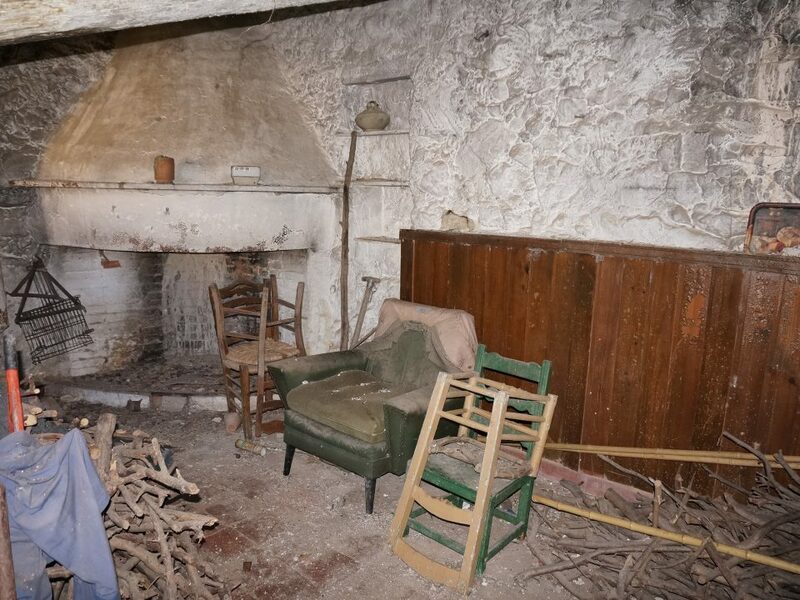 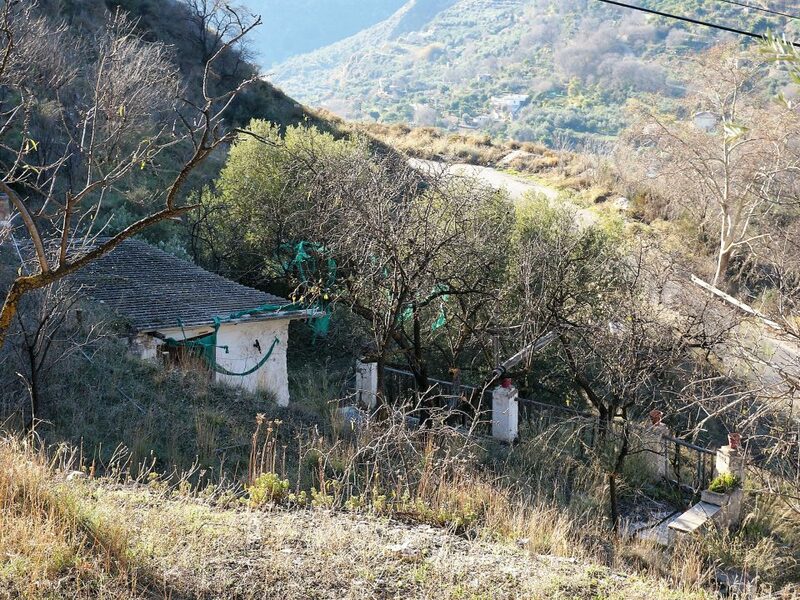 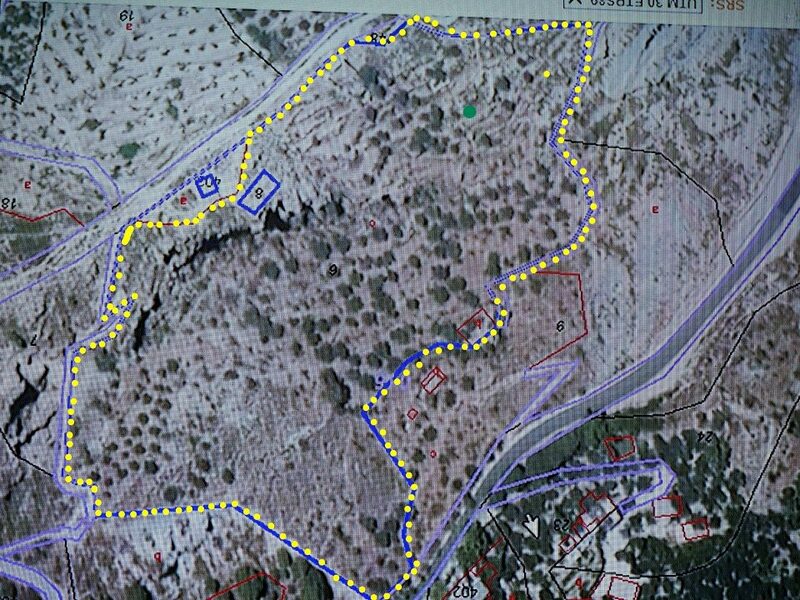 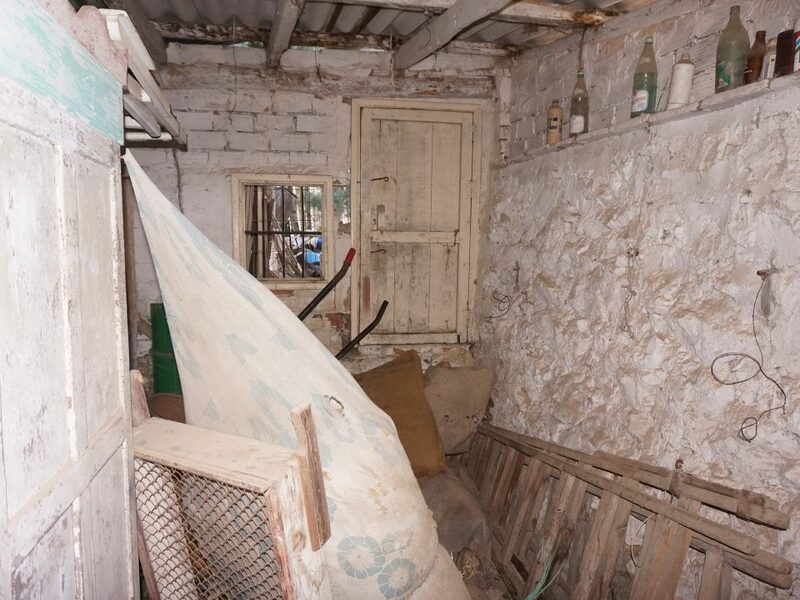 lanjaron alpujarras plot of land with ruin - HomesEspana Orgiva Property Real Estate Agent Inmobiliaria Since 2003 UA-39695354-1 HomesEspana Orgiva Real Estate Agent Inmobiliaria In Orgiva and lanjaron for Properties In The Alpujarras-Granada-Andalucia-Spain. 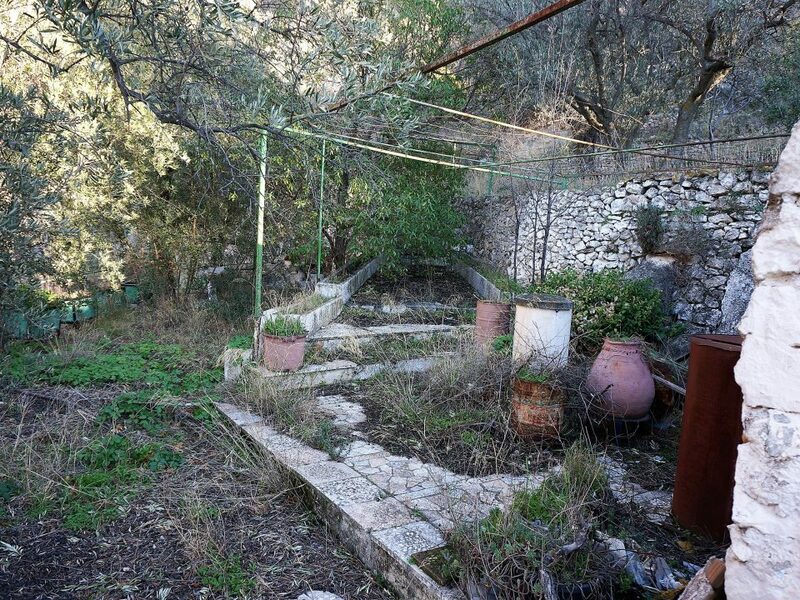 A large plot of hillside land close to Lanjarón and extending down to the main road, with two cortijos in ruinous state. 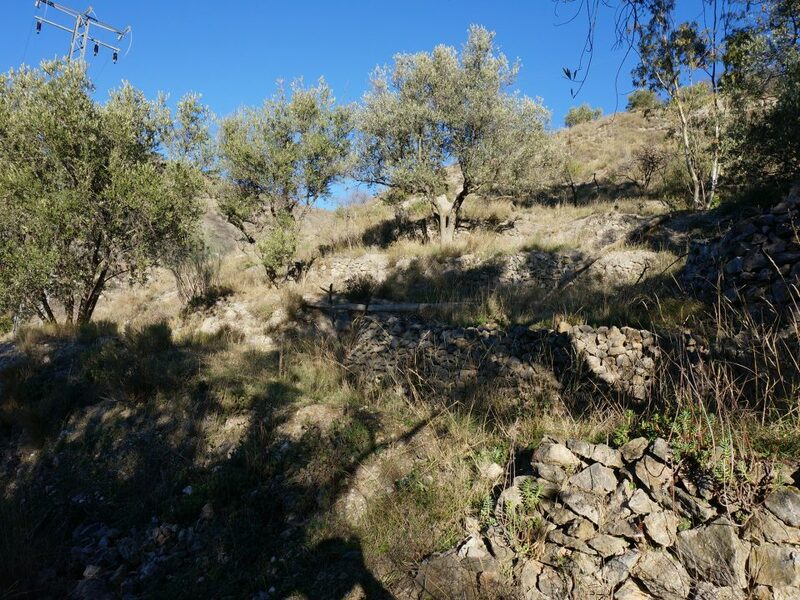 The land is a little more than 3.3 Ha of steep hillside land, terraced, with about 300 olive trees and more than 1,000 almond trees. 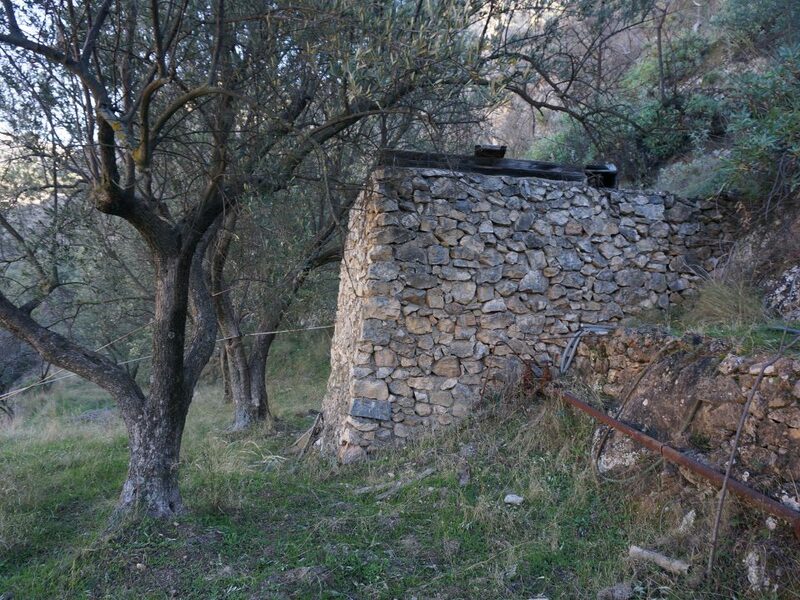 The land is classified as 2.3 Ha of unirrigated olive land and 1 Ha of dry almond land. 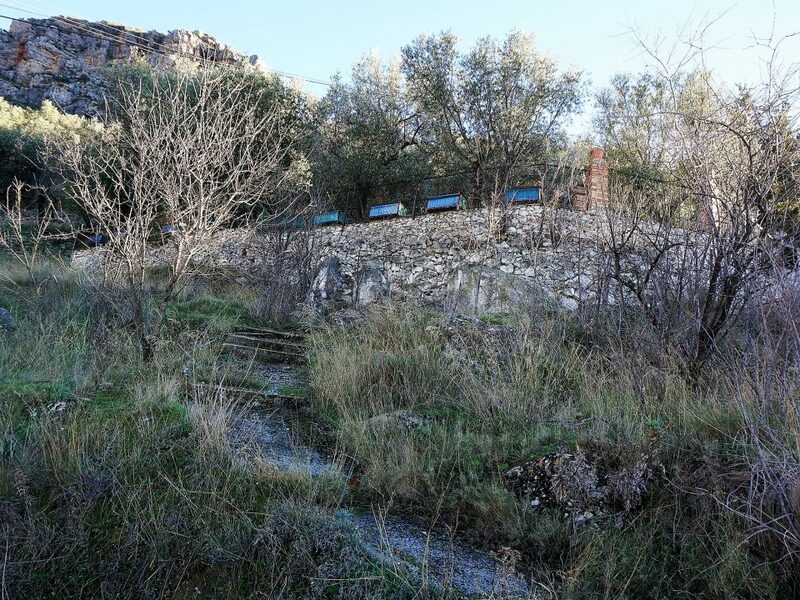 There are two water deposits on the land, filled by a spring, and there is a possibility of irrigation water from its upper edge, where there is an acequia (traditional water channel), the acequia del Tajo. 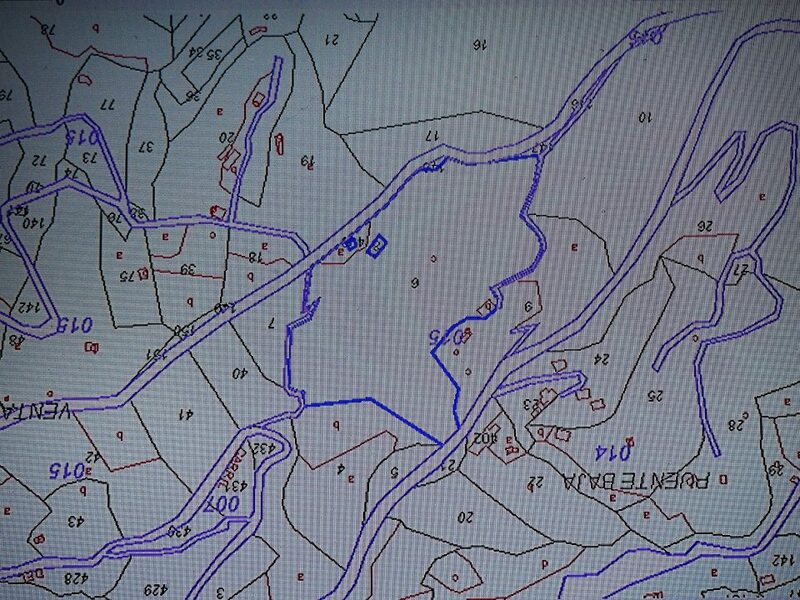 Also there is an option of connection to town water, as one of the neighbours is already connected. 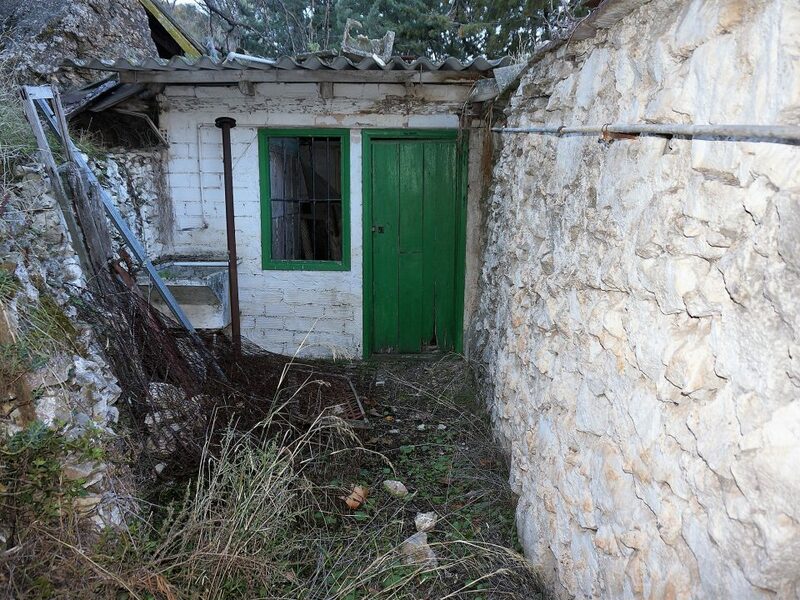 There are two cortijos on the land, one, at the lower edge, of 80 m2 (not including an outhouse), with a terrace with fine views. 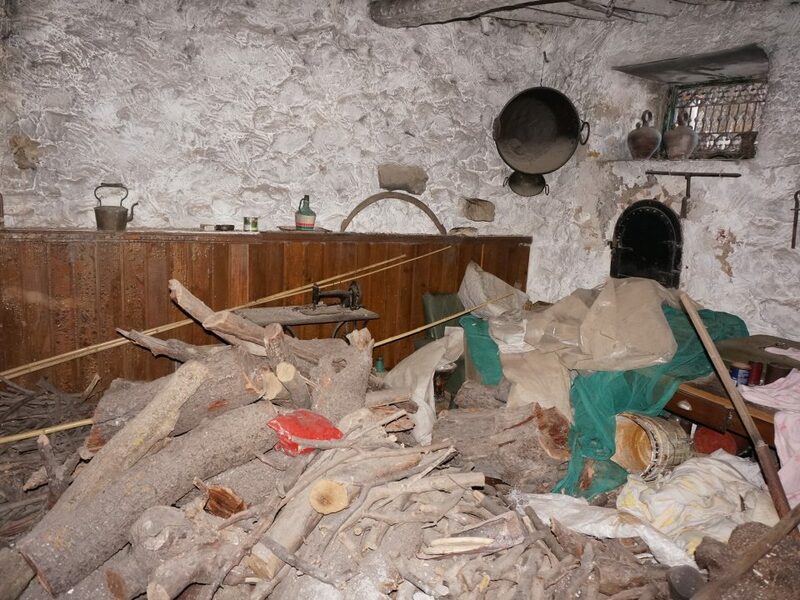 The roof is on the point of collapse, but the walls and foundations are sound. 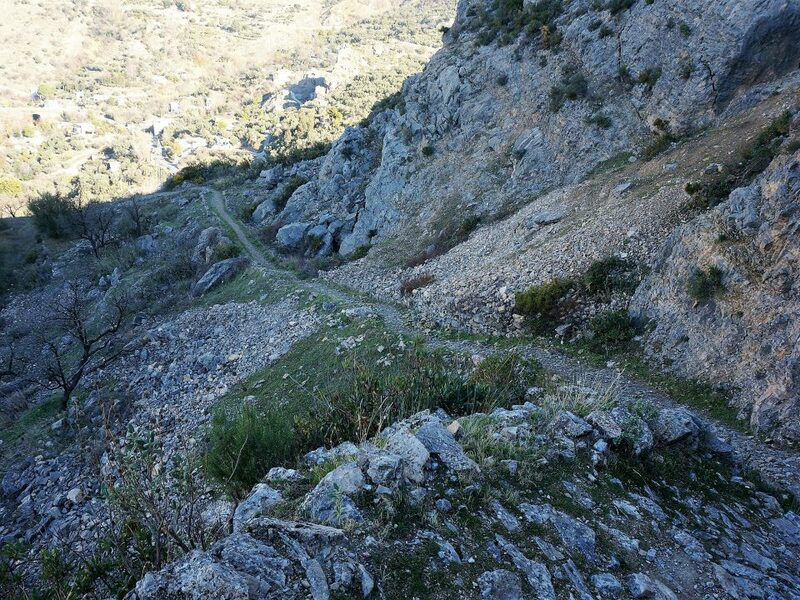 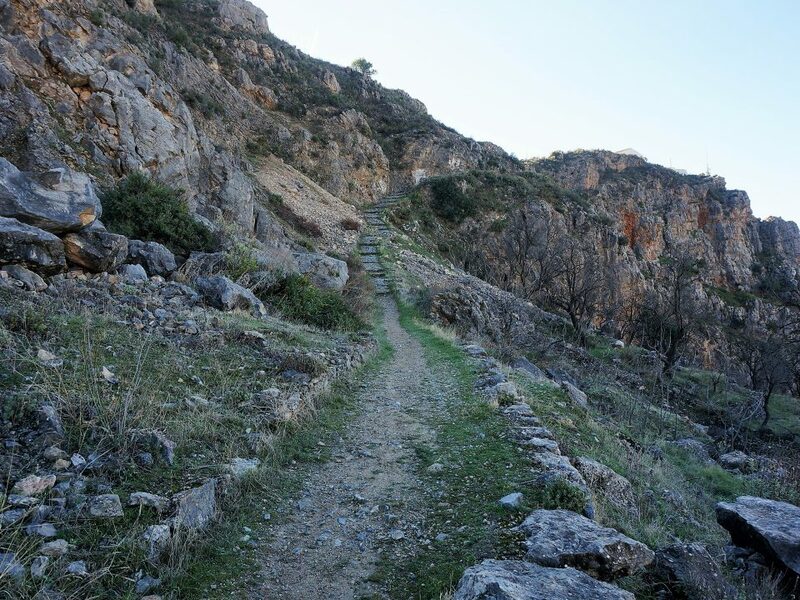 This cortijo is accessed by about 300m of track in need of some improvement, and finally by about 100 m of cement steps. 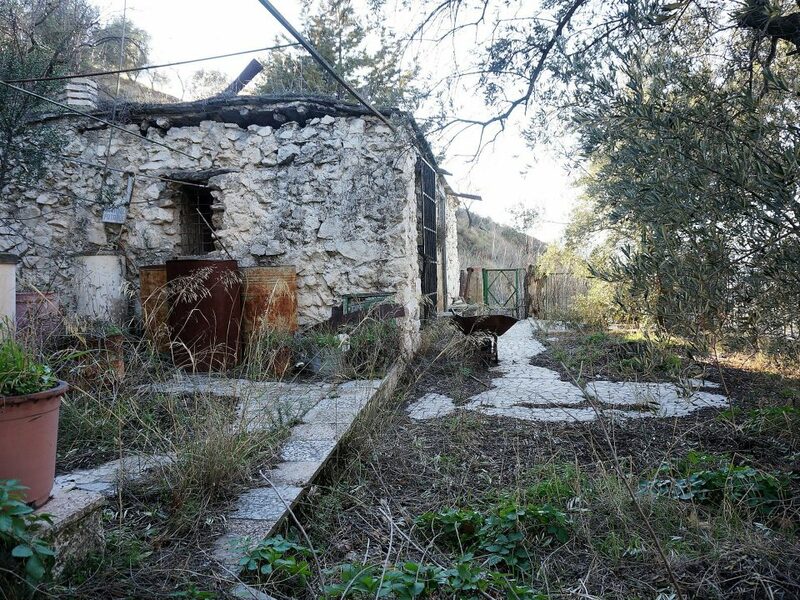 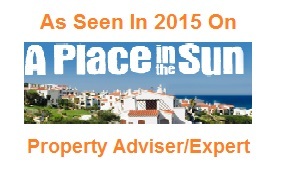 At the upper edge of the land is a second smaller cortijo of about 35 m2, which has been a ruin for a long time. 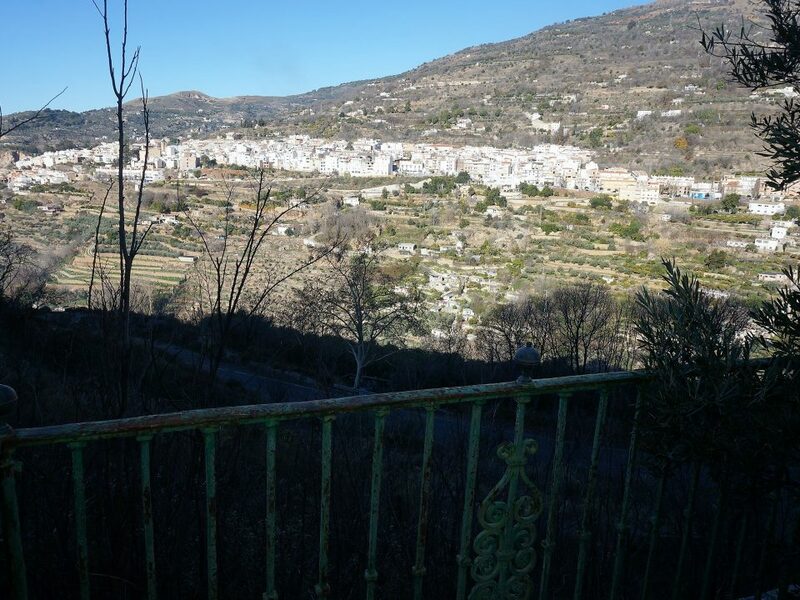 Its location has very fine views of Lanjaron, the Sierra Nevada, and the Lecrin valley. 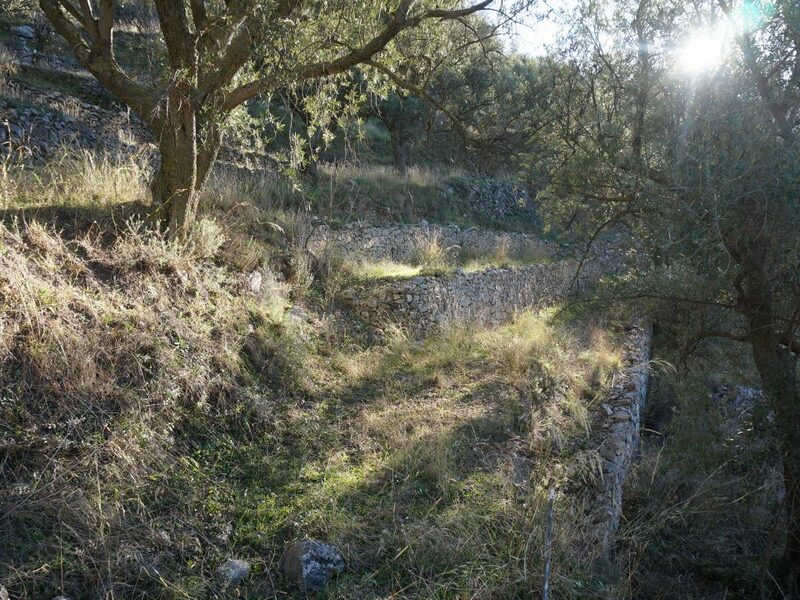 This cortijo is accessed from a cement road, which ascends from the main road to Lanjarón, and which runs along the upper edge of the land, and alongside the acequia de los Tajos. 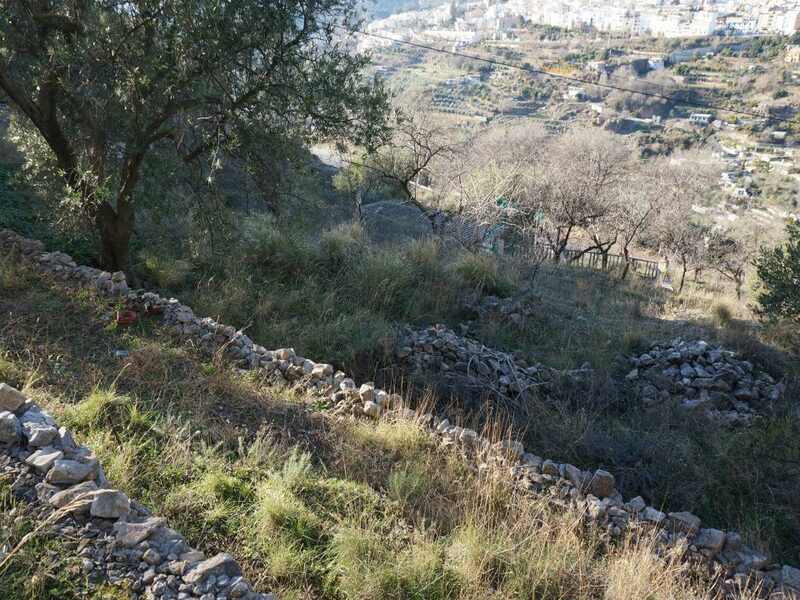 At the top of the land is the Ermita de la Cruz, a small chapel, which can be reached by a footpath (forming one of the boundaries of the land). 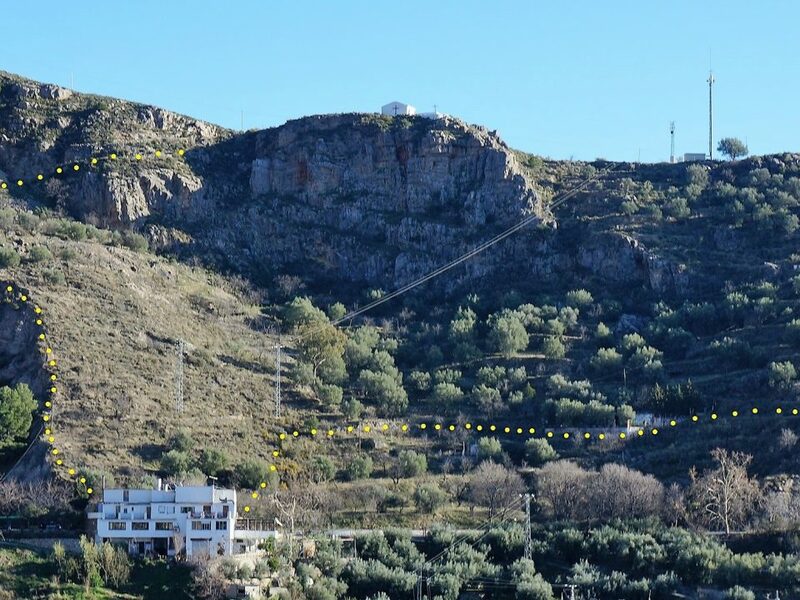 Close to the Ermita de la Cruz is a mobile phone mast , adjacent to the road and located on the land, and which supplies a rent income from the mobile phone company of 3,000 euros per year. 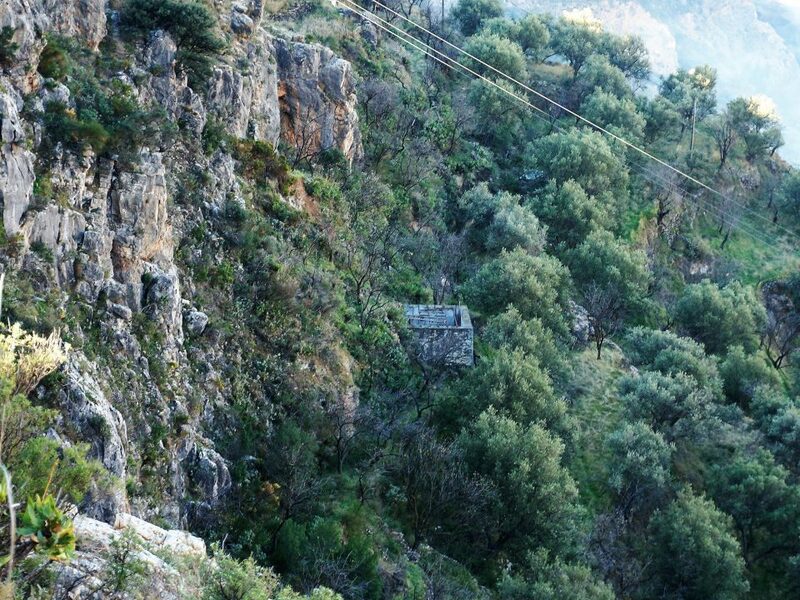 There is, attached to the masts, a transformer, and it would be possible to connect electricity to the finca.